We have consulted with hundreds of start-up cleaning services in the UK. Although we have experienced setting up businesses only in the USA, for our purposes the differences are minimal. The process is not a whole lot different than starting a service in the US. Of course there are some discrepancies in the terminology we use, but in the end it is no big deal. We have always gotten good feedback from our customers in the UK, and we enjoy working with our friends across the pond. How is having your own cleaning business likely to effect you emotionally? Will it provide for most or all of your work-needs? Do you enjoy cleaning? Are you neat and orderly? Do you enjoy being in control of your own schedule, and do you have the perseverance needed to work for yourself? Cleaning is very physical work. You will need to be in decent shape to work effectively and not hurt yourself. The good news is that if you are not now in the best of shape, the work itself will get you into shape. Another thing to consider is your interpersonal skill set for working with customers and employees: Are you good with people, are you comfortable tolerating all sorts of people with different worldviews? Do you have the capacity to do your job without getting all entangled with the client – emotionally or politically? Nothing could be worse than a service professional standing in your home who attempts to drag you into a political or religious debate. What will it be like to be a professional cleaner? How does your culture and subculture judge this profession? Are you okay with that? How well does your new business idea fit with your immediate environment? Is there sufficient demand for your services? Will this type of work fit into the other areas of your life and your other interests? How will it integrate with your family demands? Do you have access to the necessary tools and resources? 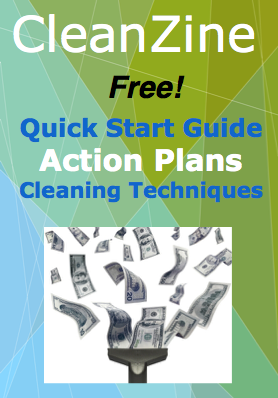 You may not need bank funding to start your cleaning company, but it is good practice to fill out the plan regardless, to get a feel for all the perspectives mentioned above. A thorough business plan can also help with securing working partners or employees for your cleaning services. Taxes you will be obligated to pay. Your personal responsibilities if your business suffers a loss. Required paperwork for any pertinent permits and licenses. How you are to handle your business profits and losses. Most businesses make a big mistake when they assume they can figure it all out, and achieve success on their own. The deadly error in this assumption is simply: How would you know which pitfalls and obstacles to beware of, if you have never done this before? You won't. And believe it or not, those surprises can kill your business. Your business is very vulnerable in the first year. Typically, it takes three to five years for a business to develop stability. Even then, nothing is certain. Always grow and learn and improve on your skills and understanding. Official site for UK business startups.